Place eggplant slices on baking sheet sprayed with non-stick spray. 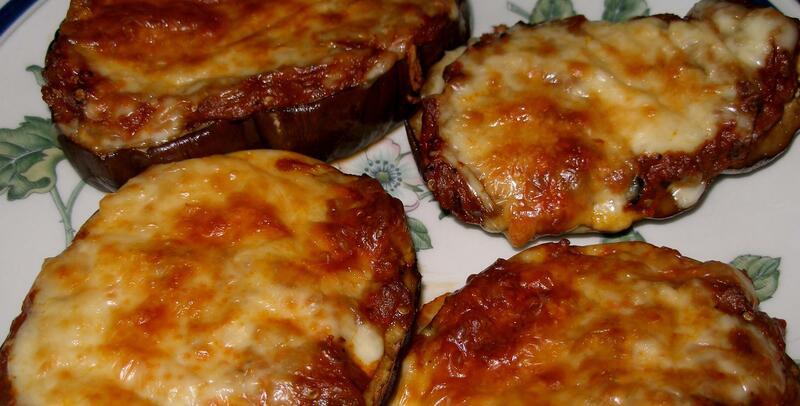 Spoon ajvar onto eggplant slices, cover with onion slice, then mozzarella slice. Bake at 325 until cheese is bubbly. You can use Newman’s Own Sockarooni sauce instead of ajvar if you want a little less heat. Tomato sauces don’t typically like me; so, I go with the ajvar for a little something different. You can also you block mozzarella cheese, but the fresh tastes head and shoulders better.